When you've followed Apple for several years, there are certain kinds of announcements you come to expect from the company: iterative refinements that make existing products better, and even those exciting surprise features you never would have thought of yourself, or new hardware that seems like something straight out of the future. There are other kinds of announcements, however, that you're confident will never come to fruition. Perhaps because they simply seem like something Apple wouldn't do, or that the company doesn't seem to really care about. Every now and then, to our surprise and delight, those unexpected things come about after all. Looking back on last week's news from WWDC, there are several big and small announcements Apple made that hit me as totally unexpected. I knew that Apple must have had a plan for Workflow before they acquired the app and its team, but I never allowed myself to hope for an outcome as exciting as Shortcuts. While there are clearly a ton of possibilities opened up by the new Shortcuts app, the Shortcuts announcement that surprised me most is that we will soon be able to set up our own custom phrases and actions for Siri. Apple has long touted how it strives to make Siri interactions more human and natural by supporting a wide range of phrases for various commands. There's no more natural way to interact with Siri, though, than using the exact phrase you've personally programmed it to accept. Just like a real-life assistant receives training to understand your needs, Shortcuts mean you'll be able to train Siri to assist you in exactly the ways you want to be assisted. With this one announcement, Siri has the potential to move from being useful in a limited number of domains to having virtually limitless capabilities. Needless to say, Shortcuts were a very pleasant surprise. One of the reasons I moved on from the Mac in 2015 is that Apple – both in word and deed – declared the iPad "the future of personal computing." iOS has been the more exciting of Apple's software platforms for years now, while the Mac has been left languishing. Though it has never been entirely left for dead, its lack of substantial updates and improvements has left many constantly wondering when that day would come. And while it's possible that at some point Apple was planning to sunset the Mac, this year's WWDC showed that's absolutely not the case anymore. In fact, I think the Mac announcements made last week are the clearest indication so far of the Mac's path forward into the future. Apple continues making the Mac more iOS-like, as it has for years, but now the end goal is more clear: keeping the Mac focused on professional users while the iPad satisfies the mass market. The definition of "professional" is, of course, up to the users themselves – and there will always be some people who prefer a Mac to the iPad not because of their type of work, but because they're simply more comfortable with traditional forms of computing. However, for everyone else, the Mac of the future seems like it could become a best of both worlds option for professional needs: with iOS-inspired features and the thriving app ecosystem of iOS, paired with the power and system flexibility that Mac users value so much. 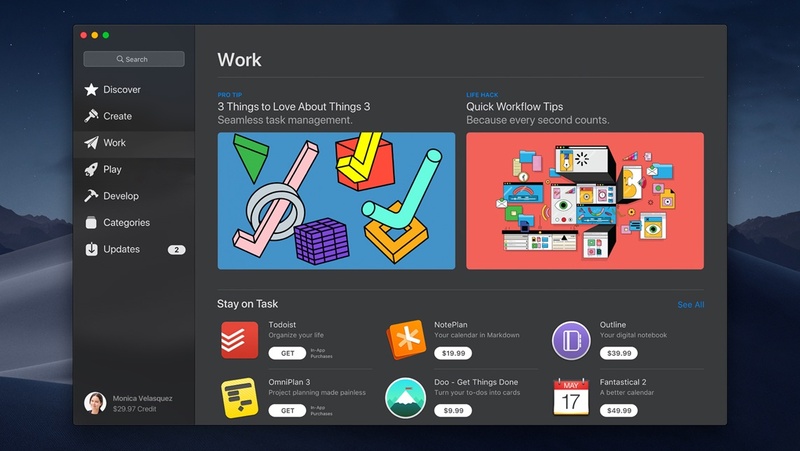 It's telling how many of macOS Mojave's new features are focused on making professional users' lives better, from dark mode, to Continuity Camera, to Finder improvements like Quick Actions. I've been a very content iPad Pro user for nearly three years now, but now, to my great surprise, I'm once again excited about and intrigued by the Mac. 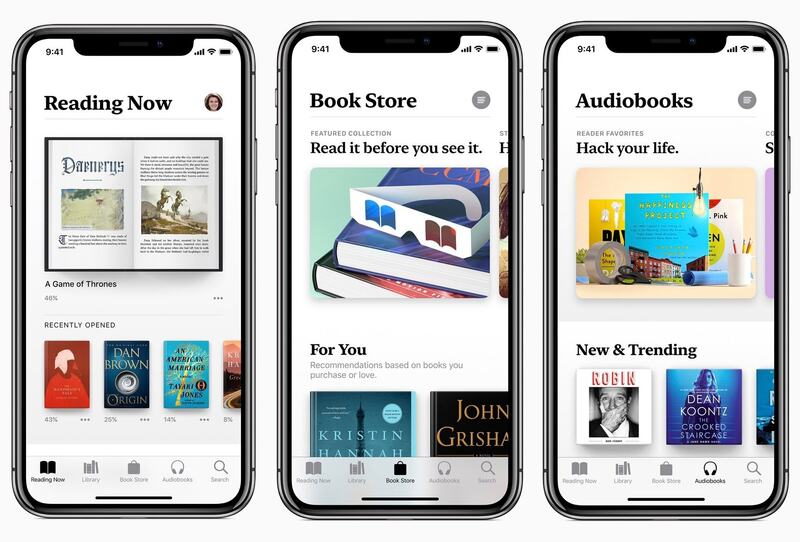 With Music, TV, and Podcasts as precedent, I had no doubt the new Apple Books app would look just like Apple's other media apps, with only minor differences as needed. What we actually got, however, is a new design unlike anything else on iOS. Books is a beautiful app, crafted in a way that's meant to make book-lovers feel at home. Its use of a serif font for all header text, alongside extensive use of drop shadows and other UI elements seldom found in other Apple software, makes it almost seem like a third-party app. While I personally would have been fine with Books looking just like the other iOS media apps, it's nice to see Apple's designers experiment with diverse designs on the platform. Count this as one surprise that wasn't very pleasant. I fully expected there would be some change to either the iPad or the iPhone X's gesture system this year, but I expected that to apply primarily to Control Center. My hope was that the iPhone X would move Control Center into a joined view with the app switcher, like the iPad introduced in iOS 11. Just like the iPhone's app switcher currently slides in from the left edge of the screen, I think it would work well to have Control Center slide in from the opposite side. While this would have been my first choice, a second option I thought possible is that the iPad would adopt the iPhone X's Control Center placement, and that's it. What we got instead was a full adoption of the iPhone X's gestures in a way that makes things like accessing the dock more difficult than ever. I know this is likely due to a Home button-less iPad Pro coming soon, but here's hoping the system sees some refinements over the summer beta season. The new Password Manager API in iOS 12 enables apps like 1Password to take advantage of the single best feature iCloud Keychain previously had going for it: one-tap autofill of login information in Safari. Maybe this is the real reason iOS 11.3 started requiring user input before Keychain populated Safari login forms; in any case, that minor inconvenience was well worth it to enable quick access to my 1Password vaults. I don't have a vehicle with CarPlay, nor do I use third-party navigation apps very often, but like the Password Manager API, this just felt like one of those things Apple didn't need to do, so I expected they wouldn't. CarPlay is a nice benefit to being in the Apple ecosystem, but it can also potentially be a secret weapon for pushing users to give Apple Maps a legitimate try. 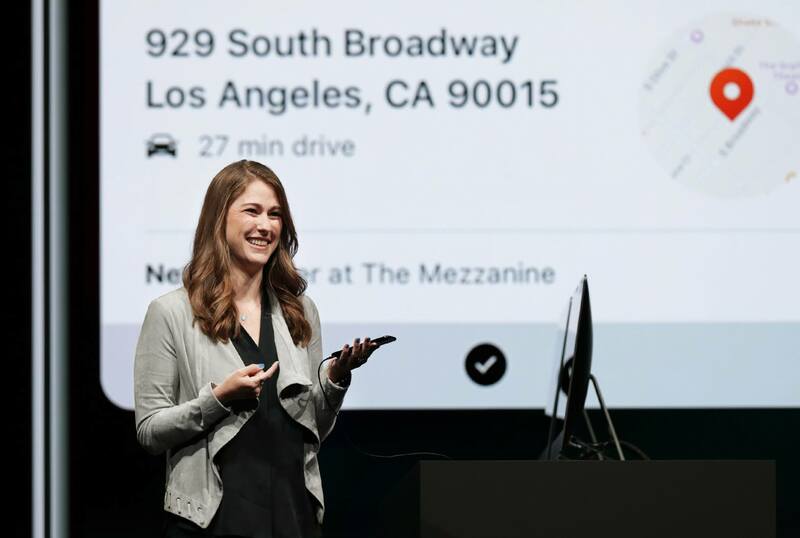 Now Google Maps users will be able to continue avoiding Apple's navigation service with little inconvenience. Perhaps more so than any other announcement I've mentioned, if you had told me ahead of WWDC that Apple would be adding a full web browsing experience to the Apple Watch, there's no way I would have believed you. Fortunately, I would have been wrong. While a full-fledged Safari app for the Watch would be a little much, I love what Apple's done to enable viewing web content sent through messages or email. It's just another small way the Watch is becoming truly independent from the iPhone. As much as I appreciate the often predictable nature of Apple, surprises like these are always nice to have too. They make following the company more interesting, and leave a lot to look forward to when all the new software updates reach the public this fall.